The global cardboard challenge - just build it! | Planet Paper Box Group Inc. The global cardboard challenge – just build it! Kids of all ages from around the world are invited to build something amazing out of cardboard, recycled materials and imagination. 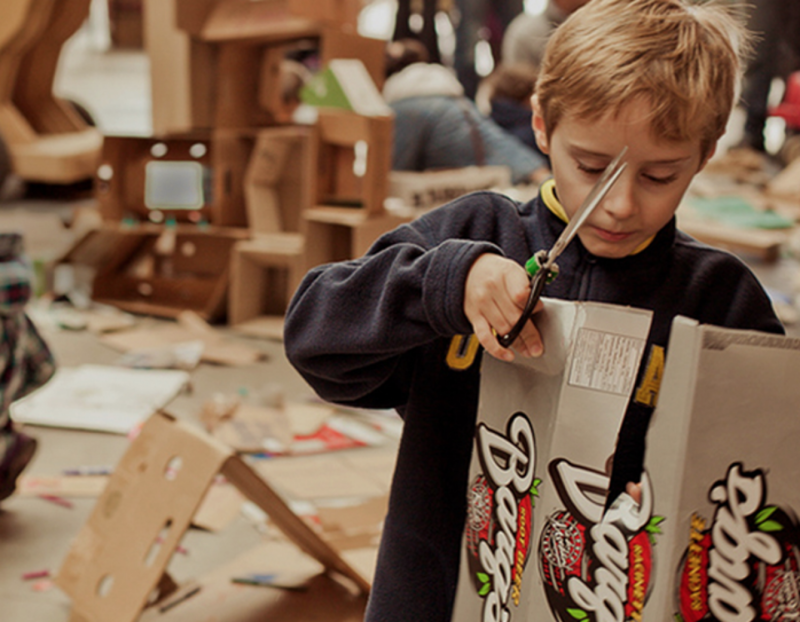 Inspired by the short film, ‘Caine’s Arcade’, the Global Cardboard Challenge is an annual event presented by the Imagination Foundation to celebrate child creativity and the role communities can play in fostering it. In September, kids of all ages are invited to build anything they can dream up using cardboard, recycled materials and imagination. Then on October 7, 2017 communities come together to play! Register your activities at www.cardboardchallenge.com!